Sixteen world-beating riders will team up with their superstar horses for the première of the Longines Global Champions Tour Super Grand Prix next month and here is an exclusive film featuring world class contenders heading for the GC Prague Playoffs next month. To watch the film, click here. The LGCT Super Grand Prix is brand new to the international equestrian calendar and is set to propel show jumping to new heights of excellence with the ultimate showdown for individual champions following a speculator season of competition across continents on the global circuit. Together with Title Partner and Official Timekeeper Longines, LGCT has continued to innovate show jumping over the course of it’s 13 year history, and the 1.25million euro LGCT Super Grand Prix will take centre stage on Saturday evening. The dynamic new GC Playoffs concept has seen riders fighting all season long for a coveted golden ticket to the showdown in Prague’s O2 Arena. Top athletes have been competing at iconic locations including Mexico City, Miami Beach, Shanghai, Paris, London and Doha to qualify for the ultimate individual decider of 2018. The 16 challengers will face two formidable 1.60m tracks in the high-stakes showdown, set to test those who have looked on phenomenal form throughout the year. 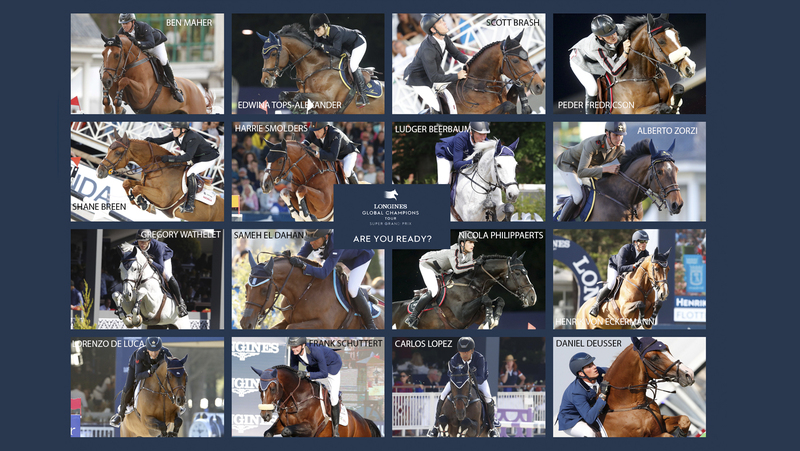 This years contenders looking to secure the inaugural LGCT Super Grand Prix win are Scott Brash (GBR), Edwina Tops-Alexander (AUS), Gregory Wathelet (BEL), Harrie Smolders (NED), Ben Maher (GBR), Carlos Lopez (COL), Daniel Deusser (GER), Sameh El Dahan (EGY), Peder Fredricson (SWE), Alberto Zorzi (ITA), Ludger Beerbaum (GER), Frank Schuttert (NED), Nicola Philippaerts (BEL), Shane Breen (IRL), Henrik von Eckermann (SWE) and Lorenzo de Luca (ITA). With such big names set once again to go into battle, this dramatic showdown looks set to be a mouthwatering feast of top notch sporting action. For more information and tickets to the GC Prague Playoffs, please click here.